“Established in 1960 to promote government efficiency and guard against unnecessary taxation. 2008 Mr. SALTY. 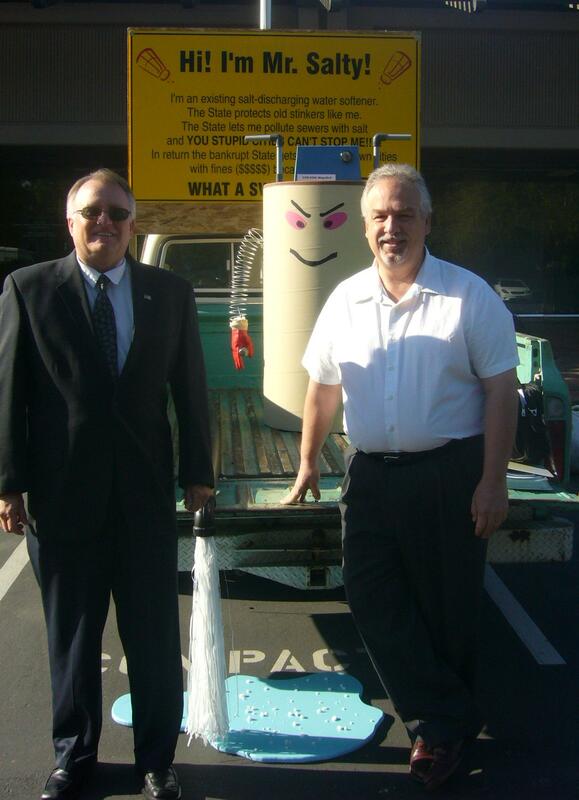 Public works Director David Melilli and Consultan Joe de Giorgio are posing with Mr. SALTY during his visit at the Regional Water Quality Control Board office.